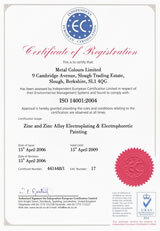 Environmental: Metal finishing processes are subject to strict environmental control. Our purpose built plant uses the latest technology to limit particulate and chemical emissions to air and water. 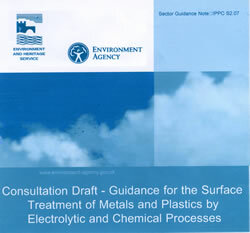 We have eliminated the use of trichloroethylene and cyanide in all our treatment processes. 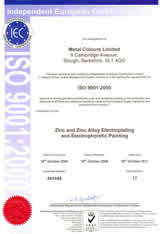 Plating operations are Part-B processes controlled by the local authority to which Metal Colours must demonstrate the use of best available technology to control pollution. We also satisfy all waste minimisation and IPPC requirements and are compliant with the End Of Life Vehicle Directive and the Waste Electrical and Electronic Equipment Directive.